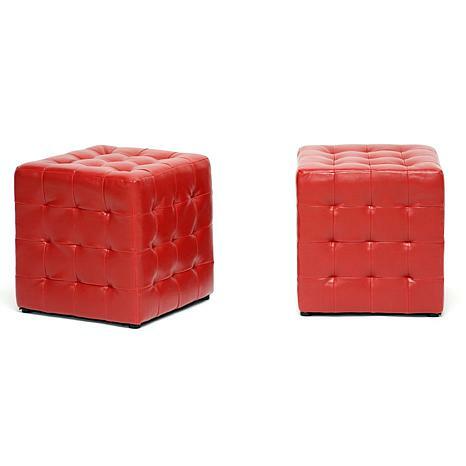 Who would have thought such a small ottoman could pack such a punch? The detailed construction of our Siskal Ottoman is rounded out with dark brown faux leather panels stitched together and pulled inward at their intersections, creating the allover tufted look. 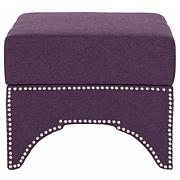 The ottoman features a wooden frame, faux leather, foam padding, black fabric-lined bottom, and black plastic feet. Looks good in front of my queens size bed. These items are so good in my living room. I'm 4'8," so I need a foot rest when I'm sitting on the sofa. Also, my guests can pull one up as a seat when I entertain. Cute! 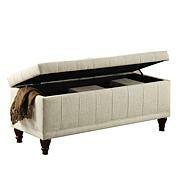 I love this item and only wish it had storage bin!